Back in sixth grade, I was a huge Avril Lavigne fan. Ever since she sang "Sk8er Boi" and "Complicated," I was on board (... but not a skateboard, because I'm not that cool or coordinated). I couldn't pull off wearing ties and backwards caps either, but I admired Lavigne's bold attitude anyway. And guess what? Years later, she is still just as brave. 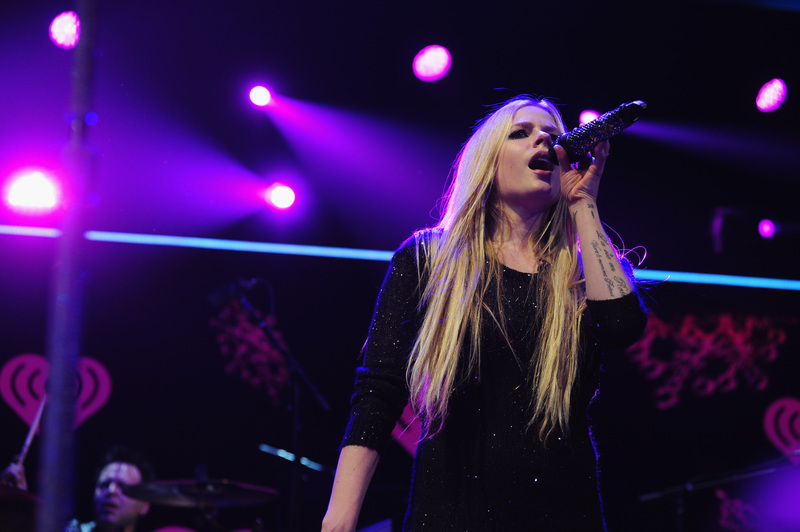 Last April, Lavigne went through quite a health scare when she was diagnosed with Lyme Disease. But in typical Lavigne fashion, she's handling it like a champ. She's still recovering, but channeling that courage into her music. On Saturday, Avril Lavigne performed at the Special Olympics Opening Ceremony and the song's message resonated on multiple levels — with the athletes and Lavigne herself. All proceeds from the song "Fly" will benefit the Special Olympics, and it's amazing to see the singer turn a negative situation into a positive. She not only highlights her own strength, but the strength of others. The song's music video features clips of Special Olympics athletes competing and it's incredibly uplifting. I wanted the athletes to be the stars of the video and, just like the message of the song, to show the world that they can overcome the challenges and that everyone is meant to shine. Props to Lavigne for fighting through her own struggle, but also not making it just about her. She's come a long way since her "Sk8er Boi" days, and while that music was awesome in its own right, this new anthem is beyond inspiring. Just a look at the lyrics ("If you ever feel like giving up / Remember we were all meant to fly") proves that. Even Demi Lovato applauded the singer's strength. Wishing Lavigne all the best on her continued road to recovery. Without a doubt, she will continue to shine, no matter what life throws her way.